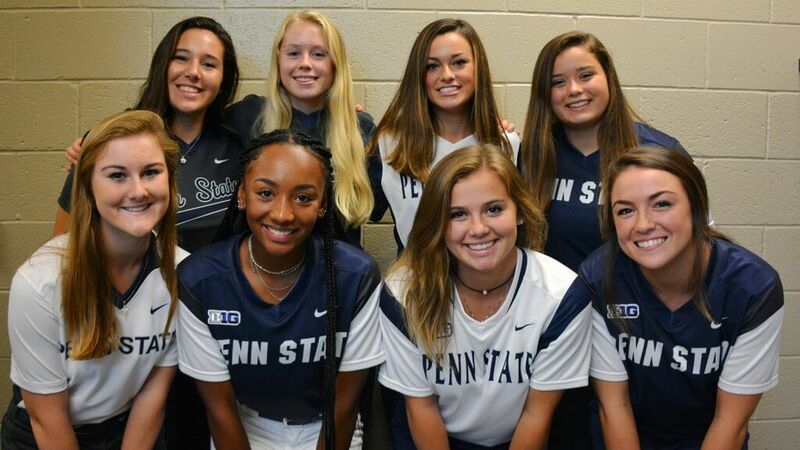 Penn State's Class of 2019 signees is strong on size and talent. It was rated by Extra Inning Softball as the #11 class in the nation. This week we took most of a day to dive into the Class of 2019 Power 5 Conference signees school by school and came across a lot of new players previously unknown to be committed and subsequently signed as well as more than a half dozen players that we had down at one point as verballed to another school. For example, Kelsey Hall, an outfielder with the LTG Lions and Kaylee Hewitt, a pitcher/1B with the Gametime Stars, were at one time committed to Oregon but ended up signing with Fresno State and Virginia Tech, respectively. Speaking of Va Tech, they also picked up Grayson Cruce, a C/1B with Atlanta Premier, who was at one time a Georgia State verbal; the Hokies did have one previous commit go elsewhere as Abigail Knight, an outfielder/infielder with Lady Lightning, signed with Boston College. Perhaps the most unusual decommit of the year, however, may have been Rachel Martindale, a shortstop with the Ohio Outlaws who was at one time headed to Pitt. She, however, will attend Akron but not to play softball... she signed with the Zips to play basketball! Overall, we have 45 new signings, verbals or club team changes added to the database including signees from the Class of 2019 from every major conference and covering programs from Alabama-Birmingham to Virginia Tech!